Mr. Potato Head made his debut in 1952. He was just plastic body parts you put on a real potato then. Mrs. 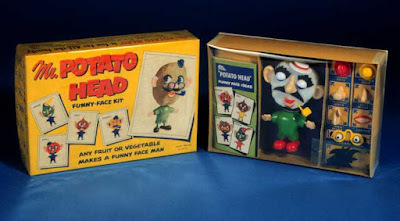 Potato Head joined him in 1953. Followed by more friends and family. He got his plastic potato body in 1964. And has worn many costumes from then to now. 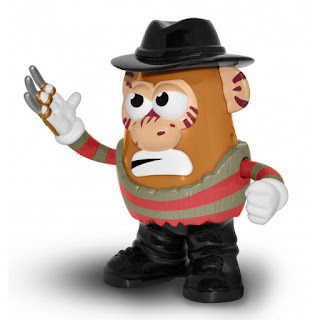 You can get him and a Jason Potato Head here. Happy belated National Potato Day! Now that was an interesting film. I'll never think of Mr. Potato Head in the same way again.